Available in Aqua Green. 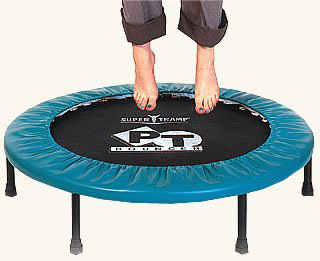 40" diameter Rebounder 6 x 7" legs with non-slip heavy duty rubber feet. Steel reinforced frame to take the strain of springs. High quality polypropylene weatherproof mat to ensure an even tension on all 36 reinforced galvanized chrome springs.